Shirley D. McNally, 80, of Olmstedville, died Sunday, April 13, 2014. She was born at home to the late Francis and Nora (Phelps) Donnelly July 27 1933, in Olmstedville, NY. Shirley graduated from Minerva Central School in 1951 and from Albany Business College in 1952. She married Patrick Charles McNally in 1959, whom she met in kindergarten, and they lived together in Olmstedville their entire lives. As a youth, Shirley worked at Hewitt Lake Club during the summers and at the Mt. View Hotel during hunting seasons. She was employed at National Lead Industries in Newcomb, N.Y., from 1952 to 1962 and then proudly served as U.S. Postmaster in Olmstedville from 1962 until her retirement in 1995. She received numerous citations and honors during her tenure as Postmaster, including being selected to work at the Olympic Game in Lake Placid, N.Y., in 1980. 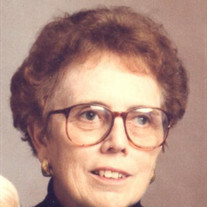 Shirley served as Town of Minerva historian from 2006 to 2013. A lifelong communicant at St. Joseph's Roman Catholic Church, she was a former member of the church choir, a former member of the parish council, a Eucharistic minister, and counted the collection plate each week for many years. She was involved in many community activities in her lifetime including 4-H, Girl Scouts of America, AARP, the MCS Alumni Association, Minerva Volunteer Fire Department Ladies Auxiliary, and the Minerva Community Choir. She was a charter member of the Minerva Service Organization and was a trustee and the last living charter member of the Minerva Historical Society. She also was a member of Catholic Daughters of America-Court St. Mary's No. 794 in Ticonderoga for over 50 years, the National Association of Postmasters, and the Alpha Iota Honorary Society. Shirley enjoyed summers at her family's camp at Minerva Lake as well as vacations to York Beach Maine, and Myrtle Beach, S.C. She enjoyed spending time with her family, cross word puzzles, photography, sending holiday and birthday cards, shopping, traveling, dining out, music, and basketball. As an Albany Business College Women's Basketball Owlette, she was the Capital District Women's League High scorer and averaged 22.7 points a game in 1951. Shirley is survived by her husband of 54 years, Patrick and their three children, Francis McNally and Ellen Blackler of Takoma Park, Md., Susan and Jim Harrison of North River, N.Y., and David and Clare McNally of Olmstedville and McKownville, N.Y. She is also survived by four grandchildren, Nora and Peter McNally and Liam and Patrick Harrison; Her sister Patricia and Franklin Hewitt of Olmstedville as well as several nieces and nephews. Falls Hospital Dialysis Center for their care, comfort, and compassion. In lieu of flowers, the family suggests that donations be made to St, Mary's Oratory, P.O. Box 368, Schroon Lake, N.Y. 12870. A wake will be held from 4 p.m. to 7 p.m. Tuesday, a St. Joseph's Church in Olmstedville under the direction of the Edward L. Kelly Funeral Home. A Funeral Mass will be celebrated at 11 a.m. Wednesday, at St. Joseph's Church. Burial will occur later in the spring at St. Mary's Cemetery in Irishtown.